"Not even a world war stopped this artist"
This Friday, a diverse collection of images in the exhibit Tony Vaccaro: From War To Beauty at the Monroe Gallery of Photography gives Santa Feans a glimpse into the life of the 94-year-old photographer from scenes of World War II to commercial fashion shots, and beyond. This artist’s lens has captured some of the most famous humans ever—think Sophia Loren, Pablo Picasso and Marilyn Monroe. But some of his first forays into photography were spent documenting World War II. Drafted at 21 years old, Vaccaro carried a 35-mm camera through the trenches of Europe and used innovative techniques to develop his film: Patiently waiting for nightfall, the artist-soldier used the tools available to him in the middle of a war. “I would go over the ruins of a village and try to locate where a camera shop might have been,” he says. “So, in the ruins I could find developer and the things which you need.” Chemicals in hand, Vaccaro used helmets as developing trays; developer, water, hypo and more water to rinse; four helmets in succession in the pitch black. “From Normandy to Berlin, that’s how I developed my pictures,” he tells SFR. Vaccaro had a long and illustrious career in photography after the war as well, including time working for magazines like Life, Harper’s Bazaar and Newsweek. His work took him to amazing places like the Nile River in Egypt and to photograph fabled architect Frank Lloyd Wright. Monroe Gallery of Photography, 112 Don Gaspar Ave. Screening 3:45 pm Saturday July 1. The Without News profile picture the Newseum is asking people to download and use Monday. “It’s a day when we black out the front pages of the newspapers that we display here at the Newseum, and also on our Today’s Front Pages website,” the museum’s Sonya Gavankar told WTOP. She said the idea is to reflect on what the world would be like without the people who bring us the news. “It’s an important time for us to really talk about the crisis of journalists in peril, and also the attacks on freedom of the press, not only in this country, but also around the world,” says Gavankar. 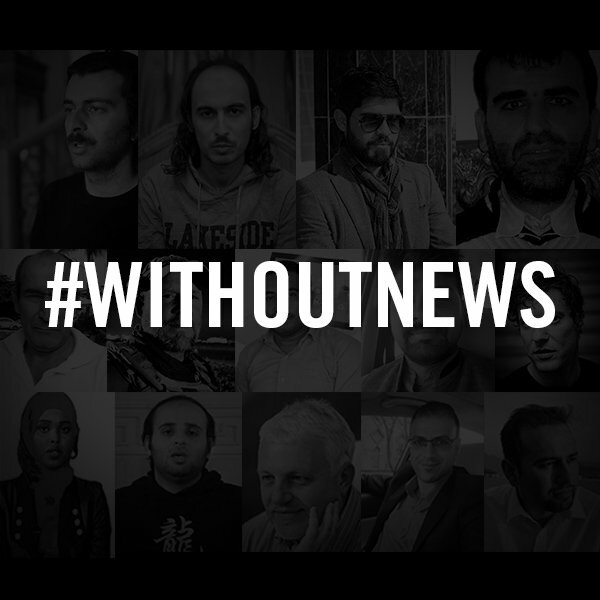 Supporters are asked to use #WithoutNews on social media, and download a special profile picture from the Newseum website. Also Monday, at 10 a.m., the Newseum will rededicate its Journalists Memorial, adding the names of 14 members of the media who died on the job in 2016. The ceremony is free and open to the public with advance registration, or you can watch it live online. The event will be held on the anniversary of the death of NPR photojournalist David Gilkey, who was killed by the Taliban while covering the war in Afghanistan. Several items belonging to Gilkey will go on display at the museum, including a camera lens that was hit by a rubber bullet as Gilkey documented clashes between Palestinian demonstrators and Israeli soldiers in the West Bank. 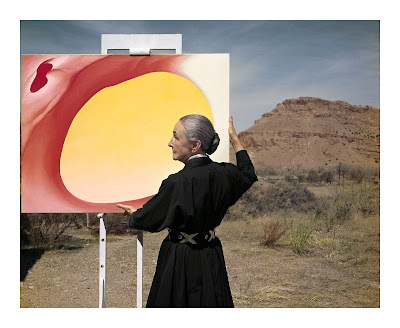 Santa Fe, NM -- Monroe Gallery of Photography is honored to announce a major exhibition of 50photographs by Tony Vaccaro. The exhibit opens with a public reception for Tony Vaccaro on Friday, June 30 from 5 – 7 PM. The exhibit continues through September 17. A year later, at the age of 21, Tony was drafted into the war, and by the spring of 1944 he was photographing war games in Wales. By June, now a combat infantryman in the 83rd Infantry Division, he was on a boat heading toward Omaha Beach, six days after the first landings at Normandy. Denied access to the Signal Corps, Tony was determined to photograph the war, and had his portable 35mm Argus C-3 with him from the start. For the next 272 days, Tony fought on the front lines of the war. He entered Germany in December 1944, a private in the Intelligence Platoon, tasked with going behind enemy lines at night. 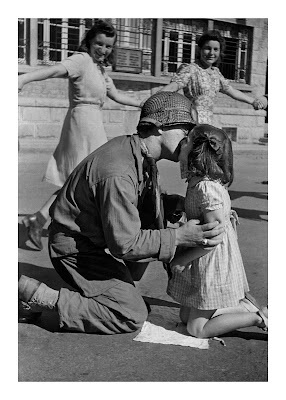 After the war, Tony remained in Germany to photograph the rebuilding of the country for Stars And Stripes magazine. Returning to the US in 1950, Tony started his career as a commercial photographer, eventually working for virtually every major publication: Look, Life, Harper’s Bazaar, Town and Country, Newsweek, and many more. Tony went on to become one the most sought after photographers of his day, photographing everyone from Marilyn Monroe and Sophia Loren to Pablo Picasso and Frank Lloyd Wright. 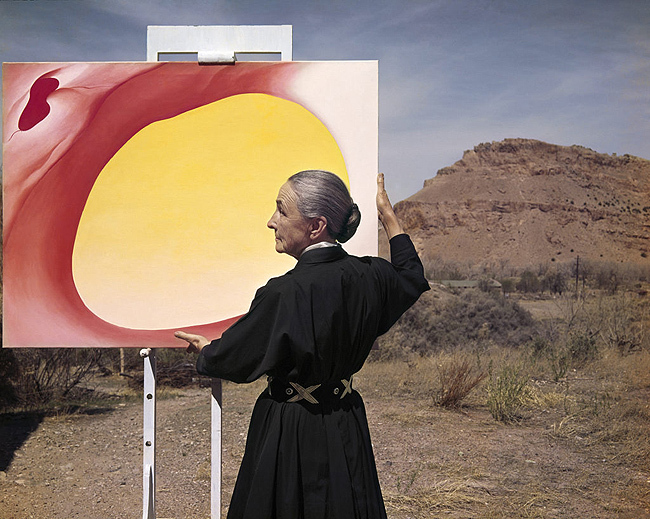 He visited Georgia O’Keefe in Abiquiu in 1960 on assignment for LOOK magazine. Now 94, Tony still carries a camera and puts in six or seven hours without a break; creating prints in his darkroom and identifying jobs for his staff. 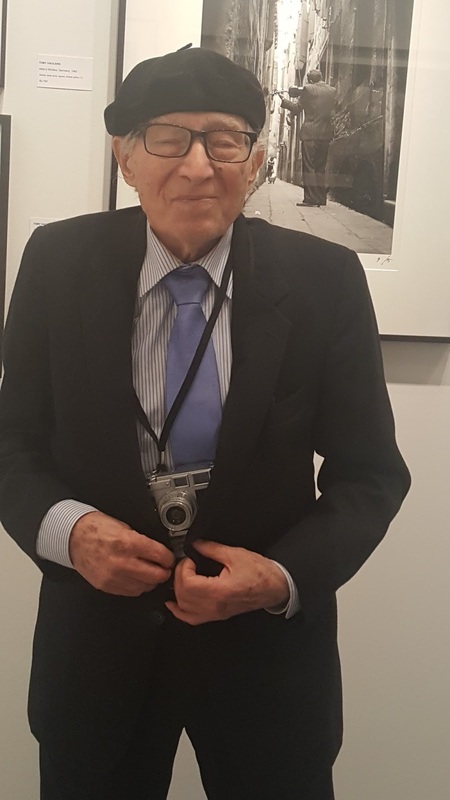 Tony has won numerous honors and awards, including the Art Director’s Gold Medal (New York City, 1963), The World Press Photo Gold Medal (The Hague, 1969), The Legion of Honor (Paris, 1994), The Medal of Honor (Luxembourg, 2002), Das Verdienstkreuz (Berlin, 2004), and the Minerva d’Oro (Pescara, 2014). Since retiring in 1982, Tony has been exhibited over 250 times and has published or been the subject of ten books and two major films. In 2014, the Tony Vaccaro Museum was inaugurated in Bonefro (Italy). Tony’s photographs are in numerous private and public collections including The Metropolitan Museum in New York, The National Portrait Gallery in Washington, DC, the Centre Pompidou in Paris, and the Library of Congress in Washington.